Recently, I sat down at my computer to write some blog posts for the week. I found myself in that dangerous cycle of staring at the blank page, getting frustrated, walking away, coming back to the computer when I felt “refreshed”…and starting the cycle all over by staring at the blank page again. I’ve written hundreds of posts here on the NMX blog and thousands of posts across several blogs over the span of my career. I felt like punching the computer. I felt like crying. Could this be the end? Was it time for Allison the blogger to retire once and for all? Of course, if you’ve been blogging for any length of time, you know that these feelings wax and wane. All bloggers inevitably face the terror of the blank screen from time to time. It’s one thing if you truly do not enjoy blogging in your niche anymore. Then, maybe it’s time to move on to another project. But if you’re simply feeling uninspired, don’t worry; it will pass. It will pass…but you can’t just sit around and wait for that to happen. If you do, you can easily fall into complacency, ignoring your blog for months. Sometimes, you have to go out and find inspiration, tear it from the world, and stick it on your blog. If you don’t have a muse, look for one rather than just waiting for one to magically find you. When is the last time you took a day to catch up on your reading? When’s the last time you actively searched for new blogs to read instead of relying on your old favorites? What’s the last time you wrote a reactionary piece to something someone else wrote? What search terms are people using to get to your site? Are you actually answering their questions or addressing their needs with the posts they find? Don’t be afraid to post a poll asking your readers what kind of topics they want to see you covering on your blog. You can also ask them for specific questions they have so you can address their problems. Rarely is a post truly evergreen. Could you write an update to a previous post? Could you cover a topic in more detail? Think about how you can use one of your favorite past posts as a starting point for one or more new posts. What in your niche can be compared? Think about two products or two services or two schools of thought you can compare and contrast and write about it. Just like we don’t take enough time to read other blogs, we often don’t take enough time to read books in our niche. Books (and other forms of print media) can lead not only to reviews, but also to content ideas. Pull a quote from an author and write an entire blog post around that. What are people in your niche creating video content about? Check out YouTube and see what videos are most popular about specific topics. Even if you don’t do videos yourself, you can turn those ideas into blog posts. If you don’t have a huge following quite yet, polling your readers can be difficult. So instead, head to a forum related to your niche and see what people are asking. Answer their questions with a blog post. This is a trick I learned from Rich Brooks during his BlogWorld New York 2012 session. Wordtracker has a great tool called Keyword Questions. You enter a broad term (like “cooking” if you are a food blogger) and you can see what people are really asking about this topic. 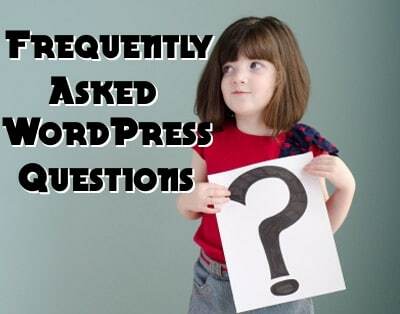 Each question can be answered in a blog post. On Twitter, people often use hashtags to talk about specific topics. Search these hashtags (or just do a general Twitter search) to find out what they’re talking about. This can inspire you to write your own posts about the topic. I absolutely love Pinterest! (If you aren’t using it yet, here’s a five-part Pinterest 101 series to help you get started.) This site is a great source of inspiration, since you can search for boards about a specific topic and see what people have pinned to those boards. You can also type in pinterest.com/source/yoururl.com (replaced with your url of course) to find out what people are pinning from your site so you can replicate that success by expanding more on a popular topic. 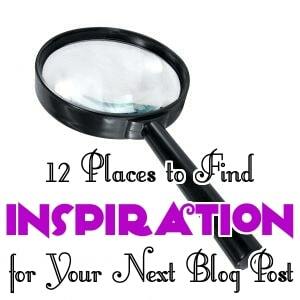 Lastly, you can get inspiration from your own list of ideas. What does that mean? It means that right now, start a list of ideas that you can pull up whenever you are stuck. When you’re feeling super creative, it’s easy to come up with topics for posts, so when you’re in the blank screen cycle and contemplating giving up, you can simply open this document and pick an idea from the list. Add to this list of ideas regularly so you also have fresh content ideas for your blog. Two weeks ago my wife was diagnosed with cervical cancer. The hospital called us four hours after I stepped off the flight back from South by Southwest. For a few minutes, I didn’t know what to do, how to handle the emotions that were set off by the word ‘cancer’, and I needed to be there for Vikki. Then I found my anchor. Drew Olanoff. By that I don’t mean that he mysteriously appeared to hold our hands, but having watched him in his documented and public fight against his own cancer, rallying his friends around the hashtag #BlameDrewsCancer, and the subsequent work with the Livestrong charity, I had my life raft. 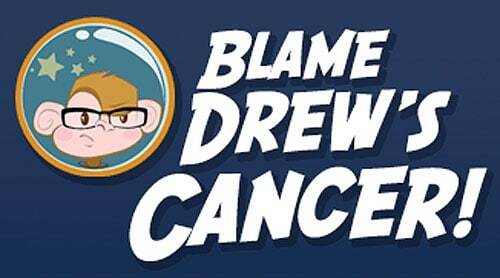 “That’s how Drew fought it,” I thought, “and I can’t think of a better example or guide than that.” Time has moved on, but those first few days I held on to the attitude of Drew while I learned to cope. We found another benefit as well in being so open about the diagnosis. After speaking to our family and close friends, we posted the news online, through our blogs, through Facebook and on Twitter. And as the comments came in, with their mix of sorrow and best wishes, it was good to know Vikki (and I) have so many friends who are thinking about us, and supporting us in the fight. And of course we now have #BlameVikkisCancer. Our communities online offer more than the words in the timeline or the Twitter stream, they offer support, they offer strength, and they offer reassurance. Blogs have a little way of getting…off track, shall we say? I’ve started blogs with a very different picture in mind than what I have today. I’ve quit blogs that I previously felt passionate about because I lost the love. I’ve mentally kicked myself in the tushie for not making the time to make my million and one ideas come to life and seeing someone else capitalize on an idea I had a year ago. So, I created the checklist I want to share with you all today. Run through this checklist every six months to get back on track and stay focused. No matter what your niche, we all need that reminder sometimes. All you have to do is answer these questions…and then, more importantly, TAKE ACTION to improve your blog. What is my MAIN goal (making money, sharing information about a cause, promoting a business, etc.)? Is every post I write helping me achieve that goal? Do I still love the overall design/theme of my blog or is it time for a change? Are all the elements on my sidebar necessary? Are there any elements I should add to my sidebar? Is it easy for readers to share posts? Is it easy for readers to find my contact information and social media profiles? Are there any new plugins or widgets I should try? Is there an easy-to-use mobile version of my site? What terms do I want people to use to find my blog? Have I answered questions that people in this niche naturally search for? Where are there knowledge gaps that I can fill using keywords (great post on that here)? Is it easy to subscribe to my blog via RSS and email? Am I writing posts that interest long-time readers, not just posts that attract search traffic? Do I reward my subscribers in any way (giveaways, promotions, deals on my own products, exclusive content)? Do I remember to promote the best of the best products to my subscribers? Do I interact with people via social media every day? Do I promote my posts well with social media? Are my headlines captivating to people will click on links (headline advice here)? Do my social interactions and broadcasts effectively build the brand I’m creating on my blog? Am I doing enough internal linking? Am I doing enough external linking? Could I compile some posts or write a short report/ebook/guide to give away to readers? Is there an informational product I could create to sell on my blog? Would it be a good idea for me to produce a podcast or video series? Can I interview anyone in the niche or another niche that would be valuable for readers? Can I guest post on anyone’s blog to introduce myself to a new audience? Can I approach anyone for a guest post that would be beneficial? Am I a go-to resource in my niche for beginners and experienced readers alike? Are my posts organized into categories and tagged well? Would it make sense for me to start a weekly or monthly series on a certain topic? Am I posting often enough (or too often)? Are there old, irrelevant posts I should delete? Answer these questions honestly and working to improve your blog based on your answers can help you stay on track. 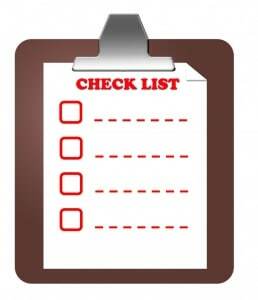 Are there questions you would add to this checklist? If so, leave them as comments! During the January just past, as people look at their New Year resolutions and decided to try out some new projects, I’ve had quite a few people come up to me (okay, pinged me on IM, but you get the idea) and ask about starting a podcast. While many of them are looking for more technical details, I’ve always asked them what they’re looking to get out of the podcast. I’m trying to figure out if a podcast is the right thing for them. In many circumstances, people are looking to explore the podcasting space, to find out how it all works, to see how they get on with it, and have a bit of fun. There’s nothing wrong with that – one of my popular podcasts started as a few shows on my personal blog and it eventually became too big for me to not notice the traffic and “spin it out” to its own site. But for a long time that show was just a hobby, with it’s own little corner of my website. And while I have long running shows that are nothing more than a weekly podcast posted on a basic blog, that’s a great place to start and learn the ropes. But if anyone is looking to start up a podcast with a serious goal in mind to be noticed and get coverage, I always come back to the same piece of advice. A podcast will rarely stand alone. And if you think about it, you would never start a new site and not have an RSS feed. You wouldn’t ignore Facebook, or Google Plus. You’d make sure to have a Twitter account. I’d argue that providing a podcast, be it audio or video, is one of those tools. It’s rare that a podcast will be the only tool you use (just as it is rare a Twitter account would be the only tool you use), but it can be an important one. It provides a voice to your site, and a regular spot to engage directly with your readers. It allows a different type of discussion to be taken, it provides continuity and regularity if done well, and keeps your readers interested in your content. The podcast is a surgical tool, but it’s one that is easy to wield. And in my opinion there are very few circumstances where a podcast would not help improve a site. Conversations can be crucial to creating a valuable blog — without an active community of followers commenting on what you create, clinking on the links and ads you post and so on, it can be extremely difficult to create a sustainable and thriving blog. But just because it is important to have readers interacting with your site doesn’t mean that you can afford to focus on that end of things to the exclusion of considering the content of what your community is adding to your site. I’ve worked as a blogger-for- hire for quite a while. As such, I’ve often had posting privileges on sites that don’t belong to me and that I am ultimately not responsible for. In some case a client may hand me a user name and a password and tell me to write about a general topic on a regular schedule from here on out. I try very hard to stay close to the topics that clients give me, but more than once, I’ve had clients come back to me and want to at least tweak the type of posts I’m writing. That’s fine — their blogs, their rules. But when a client comes to me six months after having me start posting, without giving me any feedback in all that time, and says that none of my posts have worked and he wants to take them all down… well, that’s a very worrying situation to be in. The only thing you can assume, then and there, is that the client in question hasn’t taken a look at their own site in months. That can mean a lot more than someone is less than pleased with the actual content on his site. It can mean that broken images have gone unchecked, no one has responded to comments and there could be spam all over your posts from automatic commenting software. It can be a simple question of what you want readers to see when they come to your site. Do you want there to be comments that show that you don’t get rid of spam, whether or not you interact with your readers? The only way to avoid that situation is to make sure that the content of your site (posts, comments and all) is as well maintained as your design and other elements. There are other concerns that can tie into the issue, as well: while it’s fairly rare, it’s not out of the question that a reader could add a comment to your post that infringes on a third party’s copyright. That, in turn, could put you on the hook for dealing with a copyright infringement problem. It can be something relatively easy to resolve — just deleting the comment in question can make the problem go away — but you have to be paying close enough attention to do just that. Pay close attention to what’s happening on your blog, especially if readers or other bloggers have any access at all. I get asked to write blog posts for a lot of clients, particularly service providers who want to attract new clients of their own. Over the years, I’ve noticed a few things that can make a world of difference in how well a blog can promote a service — secrets that aren’t immediately obvious but that are pretty easy to implement once you think about them. Blogs make readers feel like they know you: When we read blogs, we’re reading about someone very real to us, even if we’ve never met that person and never will. Make yourself as real as possible to your readers and they’ll feel much more comfortable hiring you, despite the fact that you might really just be another stranger on the internet. You have tons of ready made content, in the form of case studies: A blog promoting a service is one of the easiest to write because you know exactly what you’ve done for individual clients in the past and how they’ve benefited. 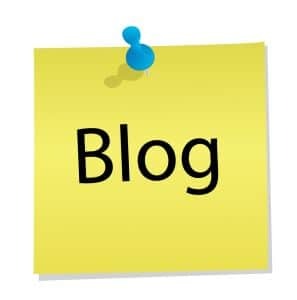 So write up a case study of every past client you can and get it up on your blog. And, by the way, prospective clients love case studies. As a service provider, you have to be an expert: It’s your blog and you’re the expert, so write like it. Don’t hedge your bets with ‘I think’ or ‘I expect.’ It’s tempting to run a blog as a newbie exploring a topic, but that doesn’t help you make sales. Focus on the expertise you already have. You can’t compete on search engine traffic, and that’s okay: It’s particularly hard to rank for keywords like ‘freelancer’ or ‘consultant,’ because there are so many service providers with websites already. But you can be very competitive for prominence within a niche — you can get plenty of traffic from other sites promoting you, especially if you write posts that everyone wants to link to. That can be a benefit, letting you specialize within that niche. You have to write in advance for your blog: Every service provider I know has hills and valleys, in terms of their work loads. When you’ve got plenty of client work, you don’t want to take any time away from it to write for your blog. You shouldn’t force it, considering that your client work needs to be top-notch. But you should make the effort to stockpile posts during the slow times in your business. The threshold is low, but that doesn’t mean that you don’t have to wow readers. There are some incredibly bad blogs out there, ran by freelancers and other service providers. It’s like there’s a checklist somewhere telling people that they have to have a blog, so they throw some site together that has lots of broken pieces, typos and the like. That can make you think that as long as you avoid being that bad, you’re doing good. But you really need to wow your readers, not just beat the particularly bad blogs. Don’t track subscribers on your blog, if your goal is to get clients. First of all, it’s the wrong metric to determine success for your blog — you want to track conversions to tell how you’re actually doing. Second, odds are good that you’re dealing with an audience who won’t subscribe that often. Instead, they’ll find you through a link or a search, read a whole bunch of posts in one day and either contact you immediately or bookmark you as someone to work with at a later date. There are differences between every type of blog. If you’re using your blog to promote your services, you need to know those differences and act on them. Ever since the dawn of the Internet, online pioneers have been trying to move as many aspects of human physical life as possible to the digital world. It started with online directories, but it got really serious with the rapid expansion of search-engine technology, rise of the giants such as Yahoo and Google, and recent social media developments. Ultimately, it evolved to a sort of “digital renaissance” where web technologies are human-centered, allowing us to manage the online identity by ourselves. Despite the ongoing “online humanism” and the fact that the Big Brothers of the Internet have given us free reins, the things often go wrong. Google results for a person’s name often returns an embarrassing image or video instead of a meticulously produced resume. Furthermore, it may list all your social media connections, and connections of your connections, rather than instantaneously provide a reliable result which truly stands for your online personality. 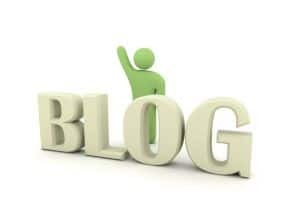 The blog is your online home where you should be comfortable to express your own ideas or feelings. Write about your interests, hobbies, and passions and let this be part of your digital self. Remember to choose your domain name wisely – it would be perfect if you could get your first name, but the first name-last name combination might do the job. Also, do not shy away from alternative extensions. If a mainstream extension is not available try alternative one. For instance, .ME is as personal as it gets plus it can be geo-targeted in Webmaster tools. When you are there get your self a couple of cool email addresses. Facebook, Twitter, Google+, LinkedIn etc. are chief means of online communication and despite certain shortcomings they are a ‘must have’. Take your time to write down info about you – make it short, personal, fun (if possible) and identical across multiple accounts. Do not forget that you can edit your privacy preferences on Facebook (especially for photos) as well as with Google+ and LinkedIn. This is a single page that describes you the best. It usually contains a large photo, short bio, and links to your online destinations (personal blogs, social networks etc.). You do not have to create this on your own – there are many services around the web that offer this functionality. For instance, try About.ME and/or Flavors.ME. Both of the services give you complete control over the data (filtering), provide analytics and may be the best aggregators of your personal content scattered around the Web. All of this will not work if you are not having fun or are afraid of technology. Keep in mind that privacy can be controlled to a certain extent and that these tips may do wonders for your online identity. If you are still not convinced that this can make search engines work for you, might want to take one step at the time. Maybe it is too early for a blog, but a splash page could be a good training and possibly a precursor. Also playing with social networks in a responsible manner cannot hurt. Just keep in mind that you are not taking a leap into dark, but into digital. 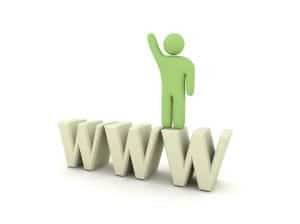 The .Me Registry operates the .ME domain name which is available for worldwide registration and also offers special, highly valuable premium names through its development program (see details here). .ME Registry (the d.b.a. of doMEn, d.o.o.) was chosen by the government of Montenegro to operate the new .ME domain name extension. ME Registry partners include ME-net, GoDaddy.com and Afilias Limited. As the kids go back to school, we bloggers have several hours during the day to ourselves. 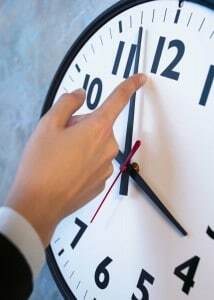 If you are not careful, those hours will go by very quickly and you’ll find that you haven’t accomplished anything. Here are a few tips bloggers can use to make the most of school hours. Routines. Set up a weekly routine and put it on your calendar. I like to start my week out by writing on Mondays and Tuesdays. That way I have the rest of the week for social media, meetings and anything else that comes up. Some weeks, I have to rearrange, but I try to stick to that routine. By having it on my calendar, I don’t spend any time figuring out what I need to do. I can be productive as soon as I sit down at my desk. Exercise. That may sound counter productive, but if you start your day by moving your body, you will have more energy for your day. I find the days I work out, I accomplish more in less time. Be ready when the last child leaves. Don’t use the time the kids are gone to shower and get ready for your day. Get up before the kids if you need to. Once they are out the door, you can begin your work day. Set business hours. You may want to post your business hours on your blog. If someone is trying to contact you or set up a meeting, they know what your hours are. Following these tips has helped me become more productive during the day which leaves me open and available to my kids after school when they need me. I have had to learn to be very flexible though. It never fails that someone will be sick or we will have snow day when I have an important meeting. I will rearrange my week so I can work around the changes. Ultimately it all comes down to managing your time well. What tips do you have for maximizing those school hours? 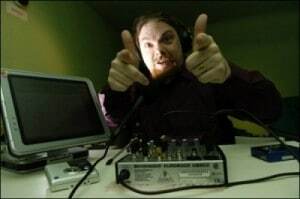 So you’re got a microphone ready, there might be a camera in the background with a blinking LED, and it’s time for you to record your latest podcast. But where to start? One of the questions I get asked a lot is "what should I talk about" in a podcast. To be honest as long as you are talking about something you are passionate about, which has elements of entertainment, education and information, you’re probably on the right track. What’s just as important is how you say it. There’s a structure that’s worked well for me for presentations, seminars, training courses, and podcasts, and I want to throw it out there as a rule of thumb just now. It’s a pretty simple formula for framing your chunk of information you want in the podcast. The thing you want to tell people sits nicely in the middle. Right before you tell people, you tell them what you’re going to tell them. Once you’ve told them, tell them what you just told them. Okay you’ll be using some production tricks between the three parts, but a strong "welcome to the show, today I’m going to tell you how to fly to Paris" followed by a jingle, then how to fly to the French capital, followed by another jingle or musical sting, and then "that was how to get to Paris, for more, listen to the next Wonderful World of Travelling episode." Too broad strokes for you? Then break down the fly to Paris in to two or three sections – for example landing at the Airport, and then travelling to the centre of town. Tell them first you’ll talk about the airport experience, then tell them, then remind them as you move towards the city centre. 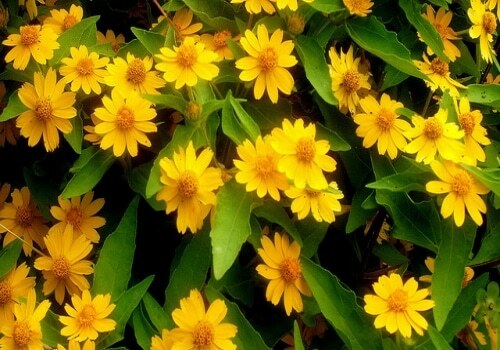 With this "flowering" technique you can not only break down a big presentation in a podcast, but you’ll have a natural flow of information, alternating new facts and reinforcement through repetition, as well as a structure that can be used again and again. It’s a great framework when you start out, but also a good safety net if you loose focus and have no idea what to do – it wouldn’t be the first time that this has saved me in a live show! Tell ’em what you’ll tell them – tell them – tell them what you told em. Image Source: Yukiroad, Creative Commons.